As more of more of the random day to day inspiration ends up on our @NOTlabs Instagram - it seems like a shame not to share it here with more context! So here’s a peek at everything from trying out the leather MOD organizer from This Is Ground to the fun concrete dog dish and minis from IN.SEK Design… trying out the new Plumen 002 bulb in our lasered cardboard light to adventures with my new Samsung Slide-In Gas Range/Convection Oven… and of course more adventures tinkering with the NOTFZJ80 which is getting some electronics upgrades and perhaps a baja trip? See it all and more on the next page! 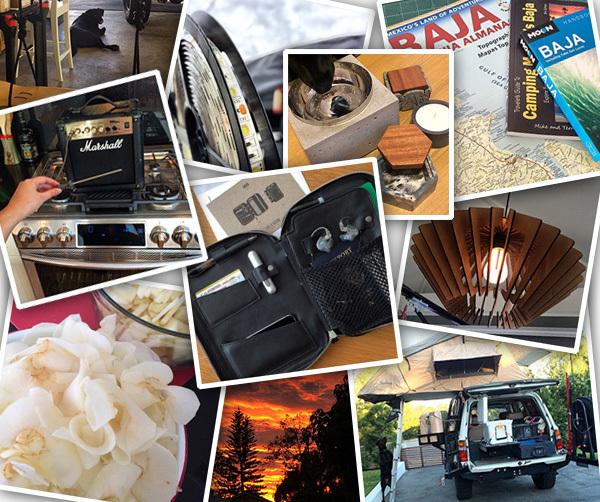 Inspiring us this week while we play with car electronics, LED strips, lasered leathers and more at NOTlabs… here’s a taste of what has kept us going over at NOTCOT.org and Tasteologie… click the pics to find out more! Time flies! Remember when we went with the Free Universal Construction Kit to Linz, Austria in 2012 for Ars Electronica? 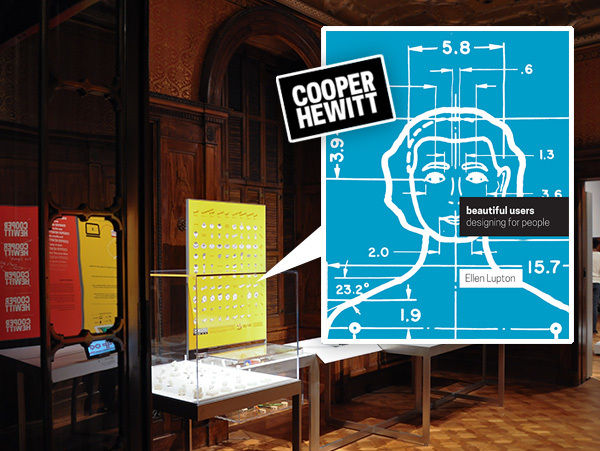 Well, on exciting news, the Free Universal Construction Kit that NOTlabs’ own Shawn Sims and our friend, Golan Levin, created is currently on display at the Cooper Hewitt Museum in the Beautiful Users Exhibition in all it’s 3D printed awesomeness. While you can’t play with them - it is so great to see the creative multi-toy sculpture they’ve created with the super brick! It’s thrilling to see that it is still inspiring and instigating people all over the world. While friends have been sending us cell phone pictures when they run into it… i’ve still been curious to see more! Though we’re LONG overdue for a NY trip, i got so impatient i asked via social media if anyone going could help take some pictures, and Evelyn Frison was kind enough to answer the call! … and pictures just landed in my inbox! Check it out on the next page! 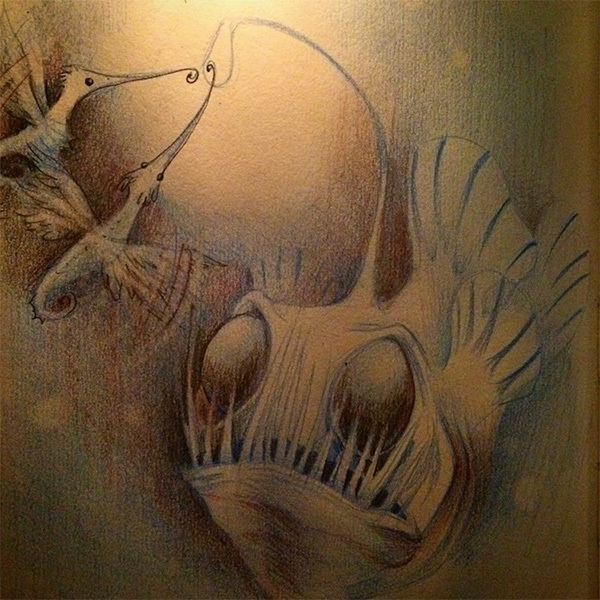 One of my favorite things on Instagram has become Kelly Denato’s @NoPunchBacks #drinkanddraw. While her paintings are stunning (see two of my favorites on the next page!) - the playful post of a blank page and a glass of wine, etc. 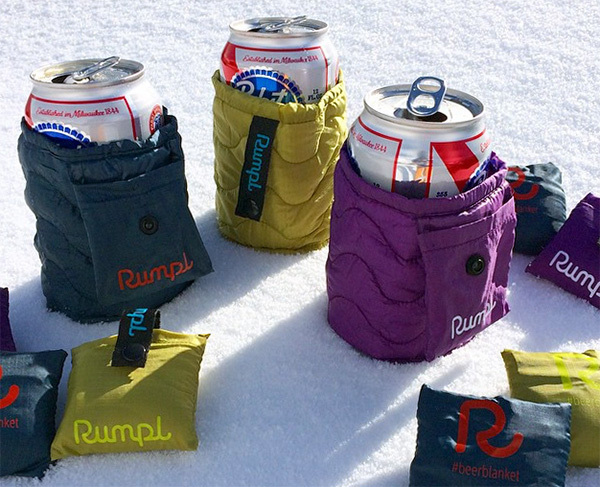 asking for ideas - is just so fun! 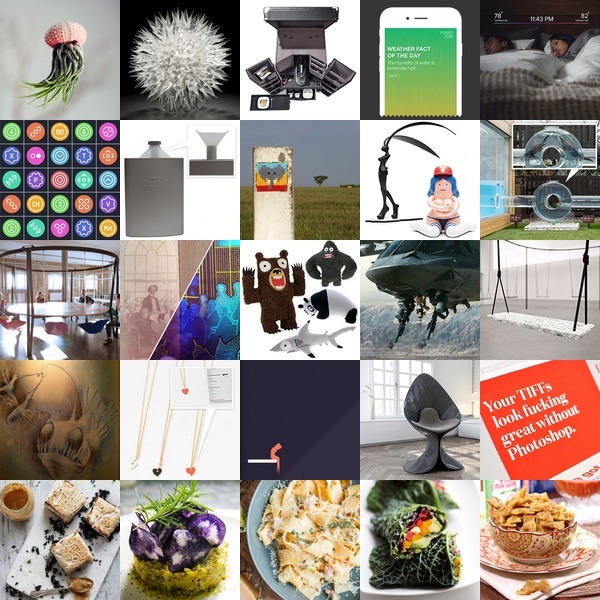 It turns into beautiful interpretations of the randomest suggestions from all over the world in real time adding a fun layer to interactions and inspiration coming through my feed. Above? Her interpretation of my random suggestion of an “Anglerfish luring in hummingbirds” ~ which turned into awesome hummingbird seahorses! See a few more on the next page - and be sure to follow Kelly @NoPunchBacks on Instagram to catch the next one! WOW. 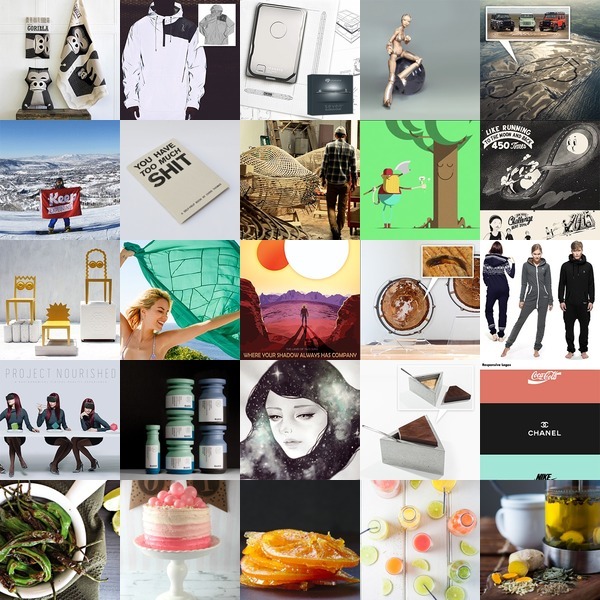 Congrats are in order for Publicis Mexico! Last month at the 25th Festival Círculo de Oro 2014 Advertising Awards in Acapulco - Publicis Mexico really cleaned up on awards! They received 3 Grand Prix, 18 Gold, 14 Silver and 12 Bronzes… in addition to Agency Of The YEAR! And remember our 3D printed NESCAFÉ Alarm Cap (which awakens you to the smell of coffee!) that we (NOTlabs!) created with the Publicis Mexico Innovation Lab? It won 9 Golds and the 3 Grand Prix Awards (in Design, Innovation, and Direct)! We’ve been ridiculous giddy to see how far the caps have gone, and they were such a brilliant and hardworking team to work with. Oh - and this all comes on top of the NESCAFÉ Alarm Cap being Short Listed for the 2014 Cannes Lion in Dimensional Mailing as well! 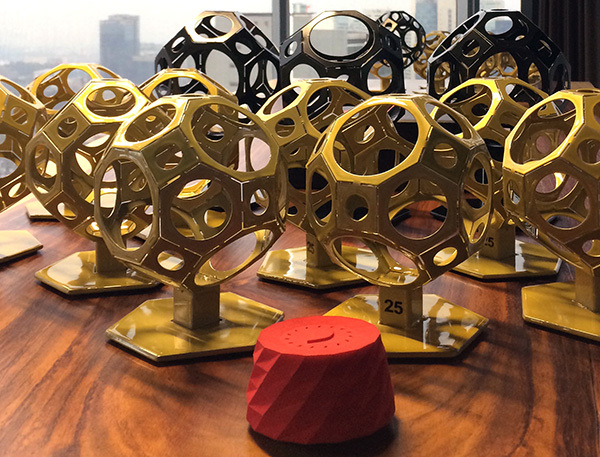 In addition to being giddy about how well received the project has been - advertising awards come in some pretty strange forms… I must say i’m quite smitten with the Círculo de Oro awards - their truncated cuboctahedron awards to celebrate 25 years are stunning! It has 12 square faces, 8 regular hexagonal faces, 6 regular octagonal faces all with circles cut out of each face. Take a look at the details of the awards, a peek via instagram of the event, and more on the next page! 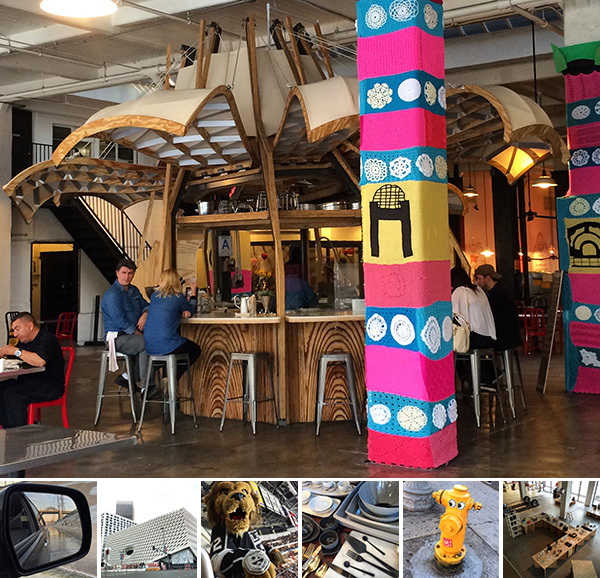 Here’s a peek into some recent east side of LA adventures (Yes, coming from the coast, DTLA is definitely east side to me!) - from wandering Downtown LA and driving around in the LA Aqueduct (that you have seen in many a movie/tv show) to going to my first NHL game with Travel Alberta (Go, Kings, Go!) and wandering around Silver Lake to peek into the brand new Mission Workshop and Shinola stores… and more! The duality of all things NOTCOT used to be… NOTCOT.com is the blog, NOTCOT.org is the submissions page. Then it evolved to NOTCOT.com is real life, NOTCOT.org is inspiring links to the best sources - our studio bulletin board! 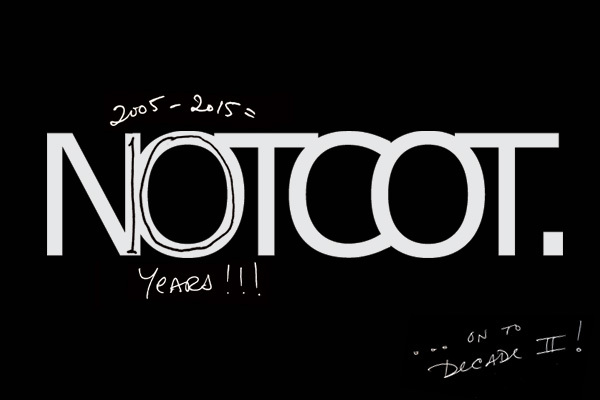 Into decade two - yet another layer is evolving… NOTCOT.com is the slower side of things we are living/doing/experiencing that are worth sharing, and NOTCOT.org is the faster moving firehose of constant inspiration! 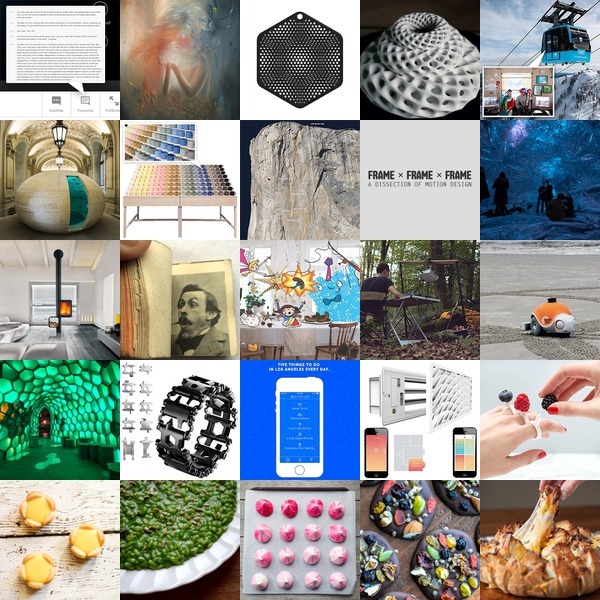 That being said - explore the sampling of what’s been inspiring us over at NOTCOT.org above by clicking the squares to find out more! 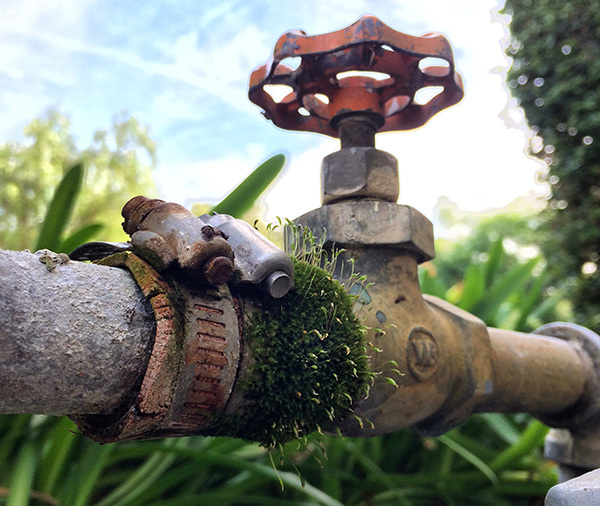 Inspiration comes from the randomest of places… including turning on the garden hose and finding this amazing little ring of lush mossiness! I’ve been fascinated at staring at its growth… curious to see how it decides to spread. I suppose it helps me remember that slowing down… incredible surprises can pop up. Things have been quieter here as we’re working on some design/development upgrades (SO exciting to bring some features to all of you that we’ve previously had only in our editor’s view) and toying with a lot of secret material experiments and design projects I can’t wait to share with you too! (Hint: Lasers! Leather! Reflectiveness!) Realizing and remembering that real world design, development, prototyping, etc is far slower than the jetset ‘see - shoot - share’ pace of digital. And it feels great to take the time to iterate over the little details and obsess over finding the best solutions along the way. So more to come on all of that shortly… but for now - how awesome is this mossy ring? See more pics on the next page. So much awesomeness this week! 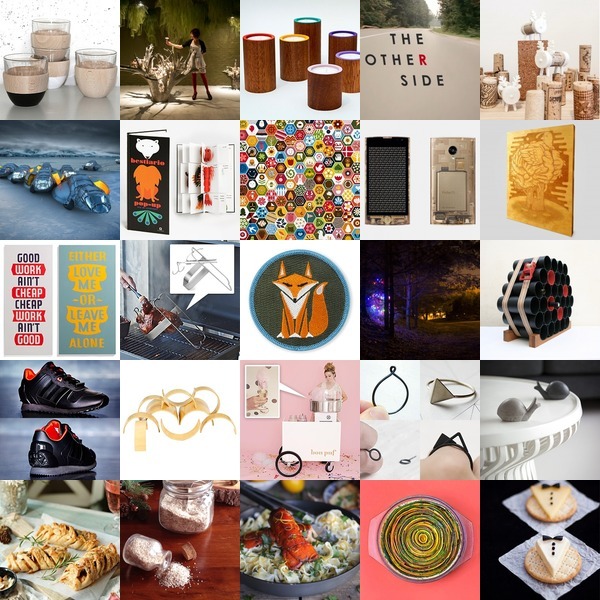 Here’s just a taste of some of what goodies can be found on NOTCOT.org… and just a taste of Tasteologie… Click the squares to find out more! Instagram (or any social media?) can lead to fun and unexpected connections and inspiration. 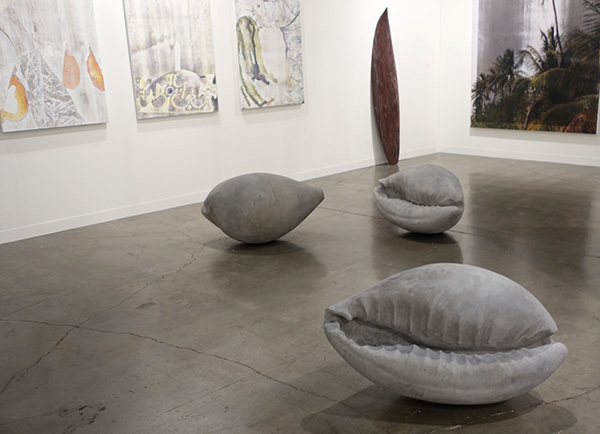 In this case - i was following GrayShape’s explorations of Miami Art Basel, and he posted these awesome huge concrete cowries, which are one of my favorite shells! And i had to know more… So a few comments and emails later, he sent over more info and more pictures! Turns out that they are “Shell” by Melik Ohanian at Galerie Chantal Crousel, Edition of 3 + AP. See more pictures he sent over on the next page! Thanks, GrayShape! In early November, Shawn and i decided to try a challenge: for 30 days could we go carb free (yup, no rice, pasta, tortillas, etc! 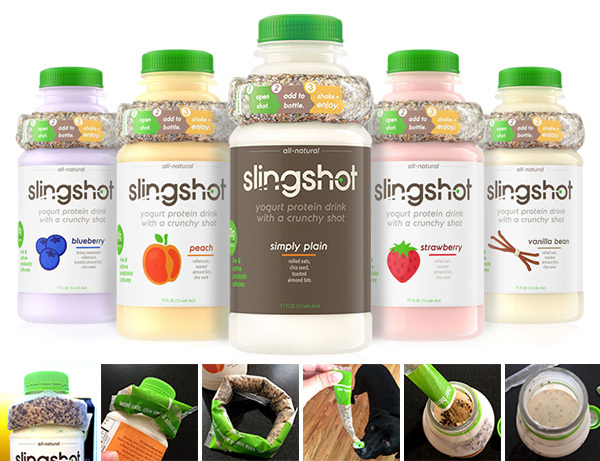 ), no processed, minimal sugar (minimal! not none - we were trying to be realistic and set ourselves up for success), and no alcohol? We were curious how it would make us feel, how our bodies would react… of course a week into it, i’m already going stir crazy (i get bored easily!) and need to figure out how to mix things up a bit. Thank goodness for his self control (enough for both of us!) or i clearly never would have made it. 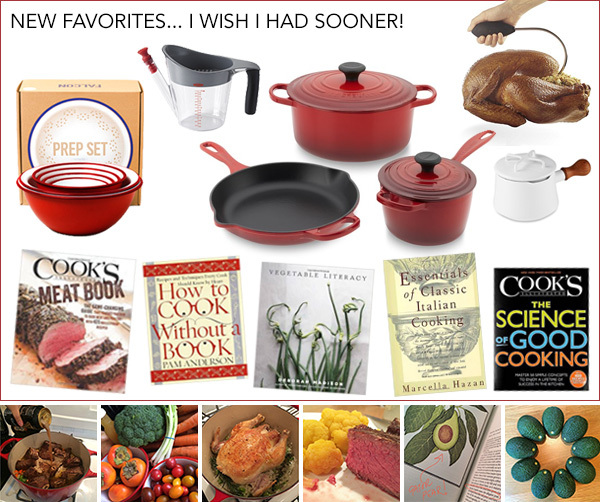 To keep it intellectually interesting i also needed different missions weekly to learn some new skills, acquire some new tools… which kind of turned into a cookbook reading mania and kitchen upgrade. I wanted to find ways to essentially short cut to having an understanding and intuition about what i’m cooking and how things work - not simply follow directions. So with this approach to learning while experimenting for our nutritional lifestyle change - i began exploring a different side of cooking reference books. Amazingly, after the 30 days, we’ve been feeling energized, lighter, and healthier - so we’re going to try to keep it going! Surprising side effect - i’ve dropped about a dozen pounds, and he’s dropped 20 something. Crazy, right? Anyhow, rounding up some of what NOTlabs instagram followers have been seeing peeks of - see the deliciousness, tools, and cookbooks that have i wish i had long ago!